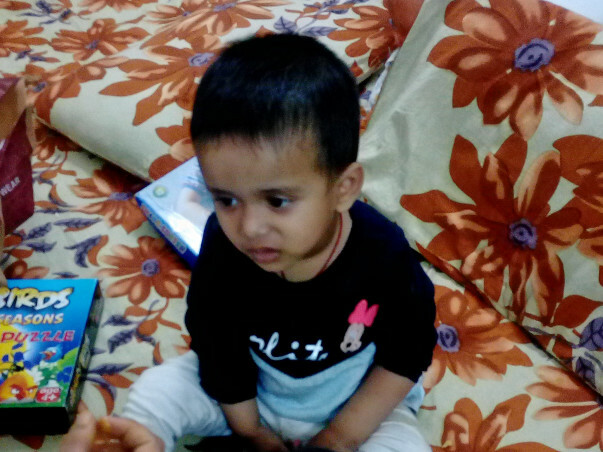 Our daughter Maanvi was born with a rare genetic disorder called Thalassemia. It is a condition in which the body is unable to produce hemoglobin and hence require blood transfusion every 3-4 weeks, life long. With every blood transfusions excess iron from blood(ferritin) is deposited in major organs like heart, liver, spleen etc can cause major problems in future. There is also risks of blood transmitted disease like hepatitis A, B, HIV etc. She was only three months old when she was diagnosed with beta thalassemia major. It was the worst day of our life when we came to know that our little princess would need regular blood transfusions throughout her life to survive and that she won't be with us for too long as average age for Thalassemia patients is 20-25. It's heart wrenching to think this way that even after monthly transfusions and chelation therapy, the age span is so less. The only cure for this disorder is Bone Marrow Transplantation (BMT) from a fully matched donor. Both of us (parents) were not a match. we begun to find unrelated donor for our daughter. 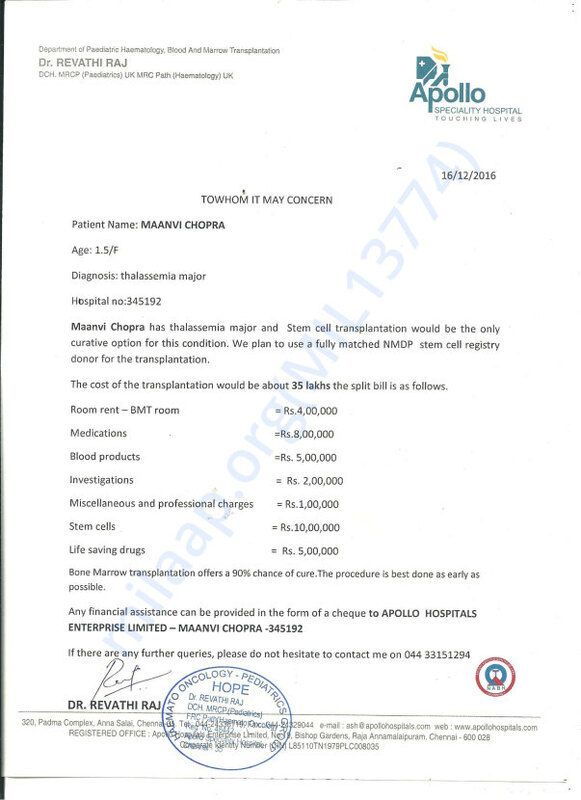 After months and months of searching, we have got an unrelated donor from USA, ready to donate bone marrow for our princess. 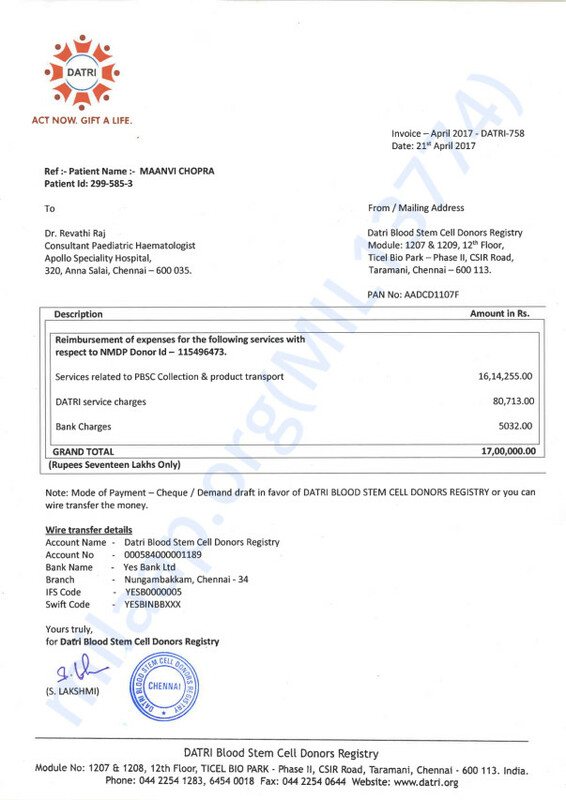 It costed us 17 lakhs for donor cells including shipping, handling and customs. Maanvi started Chemotherapy on 22nd May 2017 and was given a rigorous regime of 3 types of chemotherapy for 7 days in order to delete her present bone marrow. also her immunity is fully suppressed to enable acceptance of new stem cells. She was transfused with donor stem cells on 29th May. Next 15 days he has to be kept in a isolated and sterile environment to protect from infections. unfortunately she got viral infections, since then she is in CCU (Critical care unit). 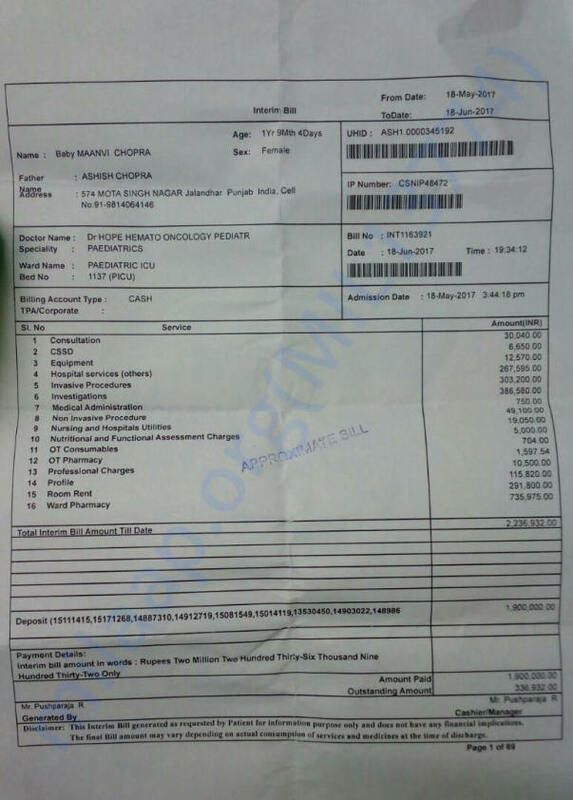 including hospital bill, total cost is estimated to be 50 - 60 lakhs. 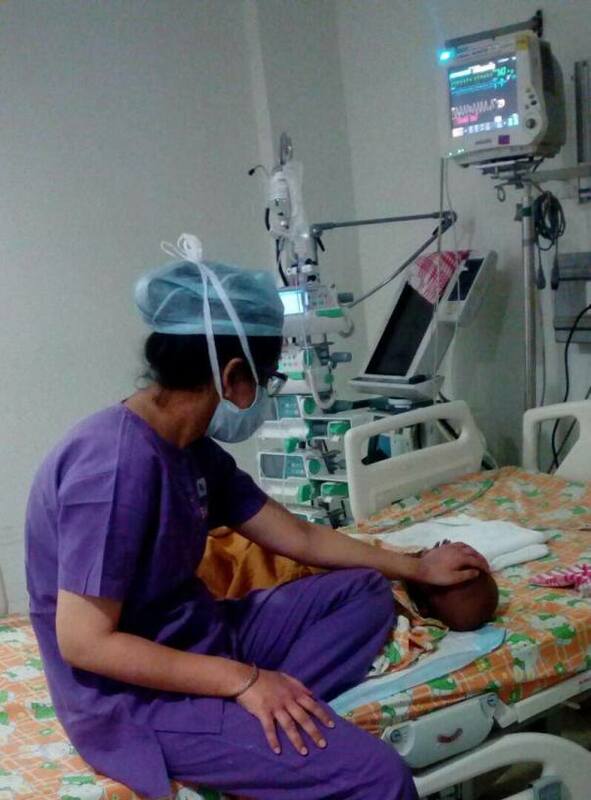 Now that she is shown improvement and responding to treatment as well, we need 25 lakhs more for continued treatment. 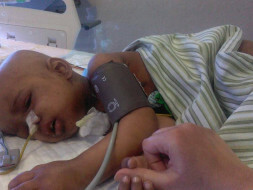 Today, we as parents request from all of you to pray for our child's recovery and provide any kind of support possible. We have started this campaign to raise funds for our daughter. We will be grateful for your kind and timely help. We have received an unfortunate news of Maanvi passing away on 19th October 2017. Our hearts go out to the little one who fought the deadly disease. She had gut graft versus host disease and despite the best efforts, little one could not fight this complication. Maanvi's parents could not thank you enough for the support and blessings each of you showered. The relief of seeing their only daughter undergo the treatment she deserved probably cannot be worded. May her soul rest in peace and her parents find solace at this difficult time. We are yet to speak to Maanvi's parents at length. Once we get a chance to speak to her parents, we will keep you updated on how the remaining funds will be utilised. We thank you for your generous contributions and prayers. Maanvi has got nephrotic syndrome, i.e. her kidneys r affected due to heavy n strong medications during the treatment along with allied thrombocytopenia. Doctors are saying she will need another couple of weeks to be fully fit. Thank you for all the support you have shown Maanvi. It means a lot to us. Would request you to please share this campaign further with your friends and family as the bills have increased and we are not able to manage, as we have exhausted all our savings. Please pray for our angel generously, for our doll to be fully fine. Our little doll Maanvi is recovering day by day with all your love and encouraging support. She is in Chennai as of now and needs to be further there for around 3 months. She needs a lot of love, prayers n support from all of you. So keep blessing her in your prayers and support her in any way u can.